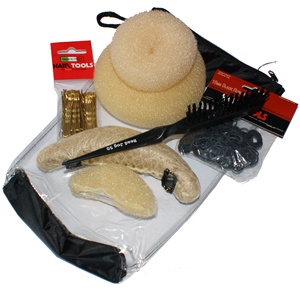 Everything you need for the perfect updo. Hair Tools' UpDo Kits have all the tools you need to create fabulous, red-carpet-ready updos. Just add hairspray! Sturdy refillable plastic box with 5 partitioned sections that'll hold all you need for a session. 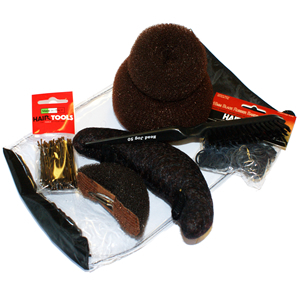 Comes prefilled with a selection of hair pins and grips.